As featured in Philly Magazine! Constructed in 1775 with an c.1833 addition, this marvelous five bedroom, 6.2 bath home boasts the finest museum quality mantels and moldings of any home currently on the market. Many of the seven mantels and much of the moldings in the Foyer and common rooms could easily find their way to Winterthur - they are positively exquisite! Examples of these works of art are displayed immediately upon entry. The Foyer is divided into two sections - an entry and a staircase which are separated by a magnificent flat arch hand crafted with intricate carvings, dentil, and gouge work. The chair rail that tops the wainscoting as well as the crown moldings are also works of art! The Living Room adjoins the Music Room creating a large space and both access the large Foyer creating a large space for entertaining. The spacious Dining Room and Den also access the Foyer. The totally updated chef~s Kitchen features high-end Thermador, Kitchen Aid, and Sub Zero appliances and vast amounts of magnificent marble counter tops. The large Family Room accesses the Kitchen and Foyer as well as the Mud Room and Office. On the south end of the Family Room is an area with a travertine and marble floor - a perfect growing area for your favorite plants. Both the Mud Room and Office access the brick walkway to the pool and patio. Upstairs houses a Master Suite plus four additional bedrooms, some of which have an en-suite bath. This historic property is available in several different configurations depending on the amount of ground purchased. There is a large structure that was formerly a stable and can be easily reconfigured for a multitude of purposes. Convenient to shopping, schools, Rt. 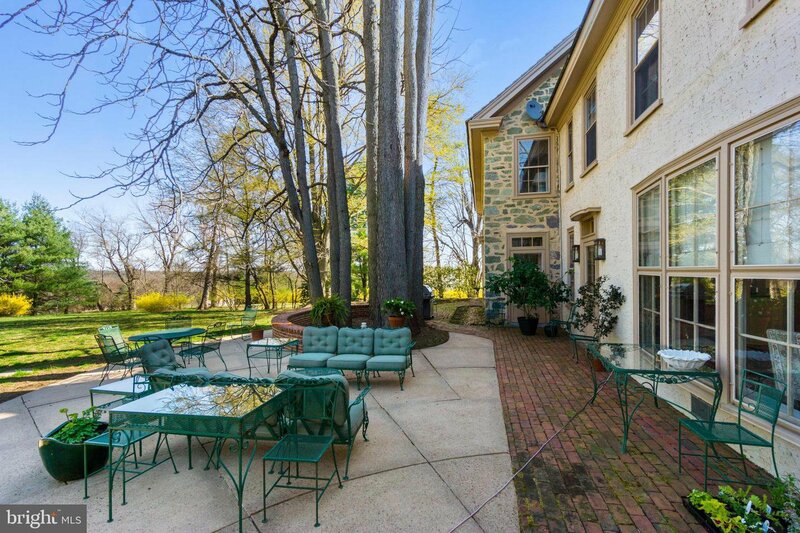 202, Wilmington, and the Philadelphia Airport, this is an impressive home that awaits a buyer who appreciates the grand, artful, unparalleled features this home possesses. Showings to begin after Easter Monday.